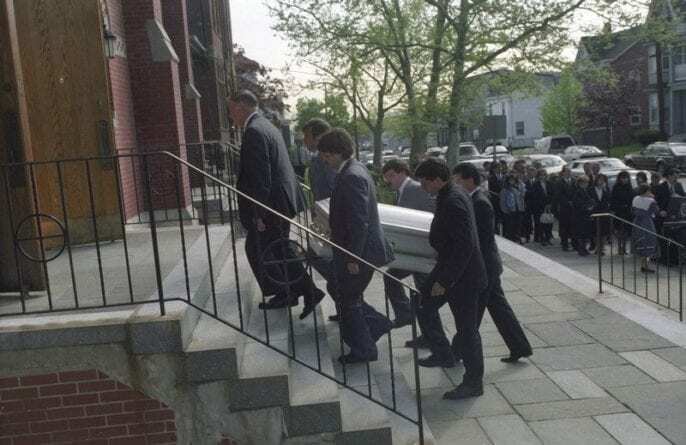 It was the evening of the 25th of May, 1991, when South Amboy police received a phone call from a distraught Michelle. 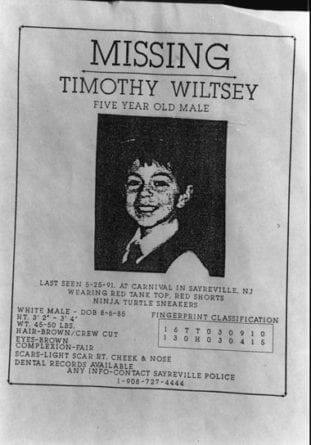 She claimed that she and Timmy had been attending Sayreville carnival which had been sponsored by South Amboy Elks Club, when he disappeared. Michelle told police that at approximately 7:30PM, she left Timmy momentarily to purchase a soda at a nearby concession stand. When she came back, Timmy was gone. The carnival was immediately halted while police and state troopers searched the area, assisted by volunteers. Over 300 concerned citizens participated in the gruelling search. They traipsed through the now-empty carnival and trudged through nearby woodlands. State police scoured the area in a helicopter while a diving unit was sent to search nearby ponds.4 The search turned up no sign of Timmy. He was gone. Timmy’s missing person poster described him as being 3 feet 3 inches tall, 45-50 pounds, with a brown crew cut and brown eyes. On the evening of his disappearance, he was wearing a red tank top, knee-length shorts, and Teenage Mutant Ninja Turtle sneakers. Identifying features included a slight scar on his right cheek and chin from a dog bite. Timmy’s smiling face, frozen in time, was featured on milk cartons statewide. The case garnered national attention and would feature on “America’s Most Wanted” along with a recent video recording of him at a birthday party. 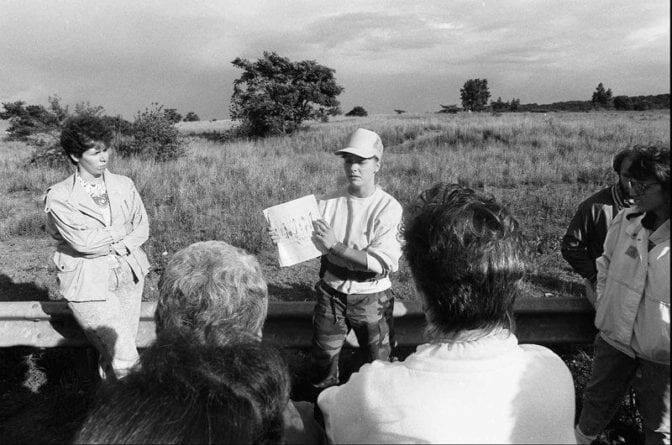 Michelle Lodzinski (middle) and two friends holding a missing poster of Timmy on 29 May, 1991. The first person to be ruled out in the disappearance was George, Timmy’s father. He had been at home over 500 miles away and several people were able to corroborate this alibi. Furthermore, he had no reason to kidnap or bring harm to Timmy. He had no interest in seeing or even speaking to his son for the past five years so what motivation would be possibly have? Nevertheless, parents are always the first suspects. By the end of the month of May, Michelle’s account as to what happened on the evening Timmy disappeared started to crumble. Investigators were unable to corroborate her claims when they could not find any witnesses who saw Timmy at the carnival that evening. Investigators were now focusing on the time between 1PM, when Timmy was last seen at home by a neighbour, and 7:30PM, when he was reported missing. Michelle had told police that she and Timmy had spent some time at Holmdel Park in Monmouth County before going to the carnival. 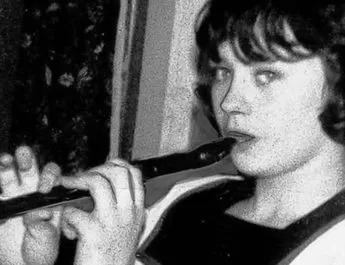 Within weeks of the disappearance, locals and law officials alike would begin to question Michelle’s guilt. She received much criticism for her apparent cavalier attitude towards her only son’s disappearance. When pupils from Timmy’s school arrived at her door to present her with $700 collected to go towards a reward fund, she refused to come outside. Instead, her mother accepted the money and spoke with the pupils of the school as well as the plethora of reporters who had gathered to witness the emotional moment. “People have to understand, this girl does not show her emotions,” her mother, Alice, said on Michelle’s behalf. Everybody would soon discover that Michelle had already changed her story as to what happened on that fateful night several times and had been under intense interrogation by investigators. Michelle had originally told police that she turned her back on Timmy to get soda and had discovered him missing when she returned. However, when she was brought in for questioning again on the 6th of June, this time she offered a different sequence of events. She told Captain Edward Szkodny that Timmy had been kidnapped by two men at knife point. Investigators attempted to press Michelle for more information regarding this kidnapping. Her son was still missing and this suggested a break in the case. You would think that Michelle would want to cooperate and see these kidnappers apprehended as soon as possible. Nevertheless, Michelle became infuriated and stormed out of police headquarters. Just hours later, she would return with her sister. Sobbing, she told the perplexed investigators that she had made the earlier statement up. Michelle returned once again the following morning for even more questioning. Her story had changed again. Michelle now declared that a woman named “Ellen” had offered to watch Timmy while she went to the concession stand. She claimed that while walking towards the concession stand, she was then threatened with a knife by an unidentified man, who then fled the carnival with Ellen and Timmy. Despite an extensive FBI search, no such “Ellen” was ever found. Additionally, Michelle failed multiple polygraph tests in regards to what happened that night at the carnival. 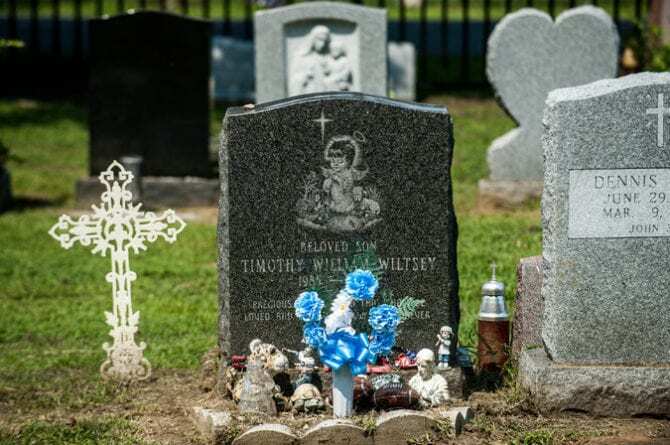 As the months dragged by, locals and investigators alike attempted to remain optimistic but they had started to consider the possibility that Timmy was dead. The tips had come to a standstill and it seemed as though Timmy had disappeared without a trace… at least until October, five months after Timmy’s disappearance. Dan O’Malley had been bird watching and exploring the marshlands in the Raritan Center business park in Edison, New Jersey. While walking alongside a freight rail line, he discovered a child’s shoe. Upon further inspection, he noticed that the little shoe had a Teenage Mutant Ninja Turtle print on the side. Dan recalled seeing the missing person posters of Timmy plastered around the town with the description of his shoes. When the sneaker was shown to Michelle, she immediately stated that it was not Timmy’s even though it fit the description perfectly. After the discovery of the shoe, Michelle’s friends and family were questioned again. They revealed some new information that would pique the interest in Michelle as a suspect once again. Several people who knew Michelle and Timmy told investigators that they were stunned to hear about the discovery of the shoe. They told investigators that the reason they were so surprised was because Michelle had previously worked at the Raritan Center complex where the shoe was found. When investigators had asked Michelle for her complete employment history, she had omitted this location. The location that Timmy’s sneaker was discovered. If there was any hope that Timmy was still alive, it was shattered on the 23rd of April, 1992. When the case started to go cold after the discovery of the sneaker, investigators decided to to search that same area in case they missed something. As they were searching approximately 125 yards from where the sneaker was found, they made a grim discovery discarded alongside piles of trash and animal faeces. It was a small skull partially submerged in a stream known as Red Route Creek, which flows to the Raritan River. They also discovered a second sneaker which matched the first as well as a blue and white blanket, and a balloon. By the following morning, the skull would be identified as Timmy through dental records. Middlesex County Prosecutor Robert Guck announced that his death was being treated as a homicide. However, the way Timmy met his demise will always remain a mystery. Due to the advanced decomposition, a cause of death could never be determined. The creek where Timmy’s skull was found. Credit: Star-Ledger file photo. The cloud of suspicion Michelle was under beforehand had now doubled. “Everyone thinks she did it,” said neighbour Denise Sendziak.7 Just the day after the discovery, a group of men drove past Michelle’s house and shouted “murderer!” Police would soon announce that Michelle still hadn’t been ruled out as a suspect, adding that “nobody has corroborated Michelle Lodzinski’s story.”8 Police trawled through hours of footage and photographs from other carnival goers in the hopes that Timmy could be spotted in the background but nothing. Another inconsistency came to light when Michelle was speaking about Holmdel Park, where she claimed she and Timmy were before attending the carnival. She told investigators she had parked in a specific parking lot but as it so turned out, this particular parking lot was closed on that day. Was her whole story a lie? 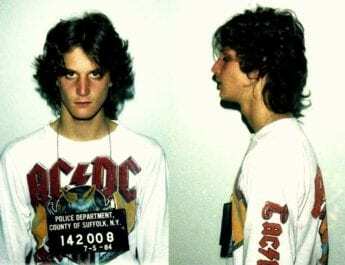 Detective Thomas Rizzo recalled that Michelle’s reaction to the discovery of Timmy’s remains was extremely apathetic and even somewhat cool: “She put her head down – but there were no questions, no how, no what, no where,” he said. When she attended Timmy’s funeral, friends and family members alike observed that Michelle seemed disinterested and even blasé. By the following week, many of Michelle’s supporters would turn against her and see her in a different light. 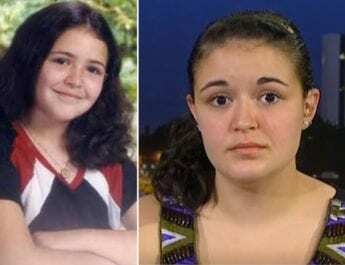 Before now, the public weren’t aware that Michelle had changed her story several times nor did they know that she had failed multiple lie detector tests that had been administered. In addition to failing the lie detector tests, Michelle also lied about the results, telling her family and friends that she had passed. Nevertheless, there was not enough evidence to convict Michelle. Eventually, questioning by police stopped and the case dropped from the headlines. By mid-July Michelle packed up and left South Amboy to move to Woodbridge. Despite the fact that Timmy was no longer in the media, nobody forgot about him. 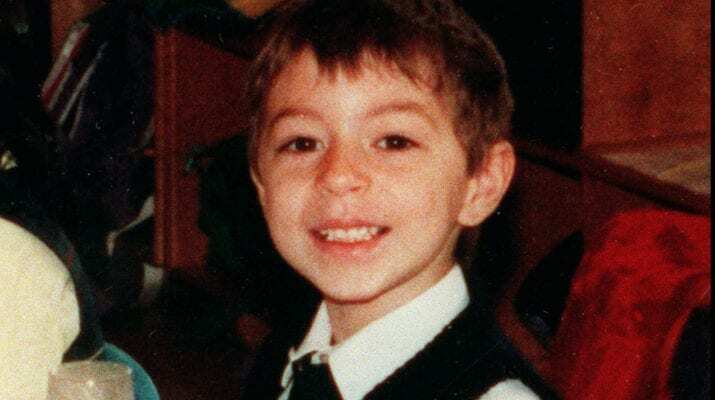 “Mother of Slain Boy Reported Missing” read the headlines in The Star-Ledger on the 22nd of January 1994. A year and a half had passed since Timmy’s skull was discovered and now Michelle was back in the news once again. Michelle’s empty and locked car was discovered outside her brother’s apartment in Woodbridge with the engine running. She had left for work at around 7:10PM but never arrived. At lunch time, Michelle’s brother, Edward, discovered her abandoned car sitting outside. By the following morning, she was found in downtown Detroit, claiming two law-enforcement agents had abducted her in a black car and dropped her off in Detroit. According to Michelle, these men warned her to keep silent about Timmy’s murder. It’s no surprise that this reported abduction was confusing, conflicting and far fetched. Michelle had remained silent about Timmy’s murder. His name hadn’t been in the newspapers for well over a year and Michelle rarely spoke about him to those involved in her new life. After extensive questioning, Michelle was unable to substantiate her story. It’s not every day that the FBI abducts family members of murder victims. After months of investigation, Michelle was charged with staging her own abduction. In fact, she had got a bus to Detroit that morning and fabricated the entire abduction story. She was sentenced to six months house arrest and three years’ probation. This wasn’t the only run in Michelle had with law enforcement following the disappearance and murder of Timmy. 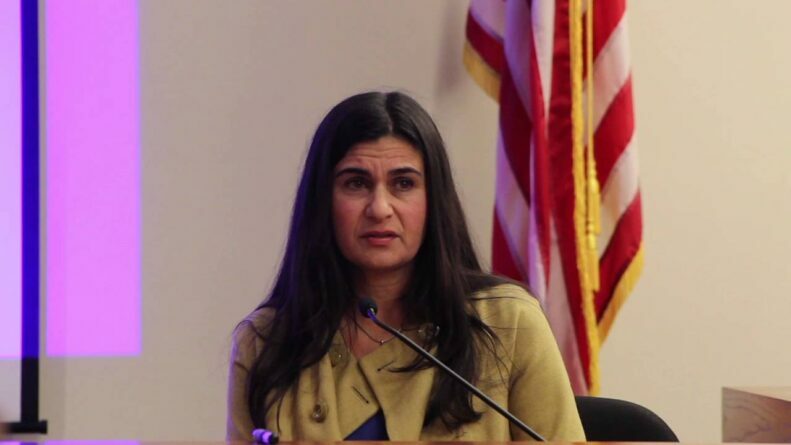 In December of 1997, while pregnant with her second child, she pleaded guilty to stealing a laptop from her former employer, Binsky & Snyder Service Inc., where she worked as a receptionist. She was sentenced once again to house arrest and probation. In 1998, Michelle moved to Florida before moving to Minnesota and falling pregnant with her third child. The trial was scheduled for the March 2016. Now, it was time for the prosecution and the defence to build their case. The moment that many investigators and locals alike had been anticipating for 25 years rolled around on the 16th of March, 2016. “The evidence will show it was his mother, Michelle Lodzinski. The very person who brought him into the world took him out of it,” bellowed assistant county prosecutor Christie Bevacqua in his opening statements.11“There is probably nothing more horrible to contemplate than the death of a child, any child, especially your child,” said defence lawyer, Gerald Krovatin. 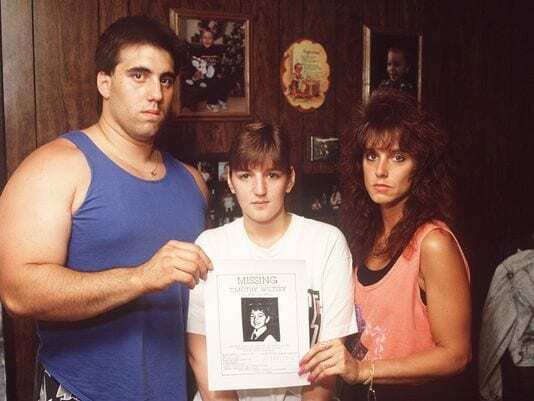 “Maybe the only thing worse is the day when they turn around and someone falsely accuses you of killing your own child.” Kevin Skolnik, a former Sayreville police officer, was the first to take the stand. He told the court that Michelle was completely blasé when she reported her son missing from the carnival. She didn’t appear distraught and she certainly didn’t elicit the emotions would one expect of a mother whose son was missing. The following day, Danielle Gerding, a former babysitter for Timmy, took the stand. 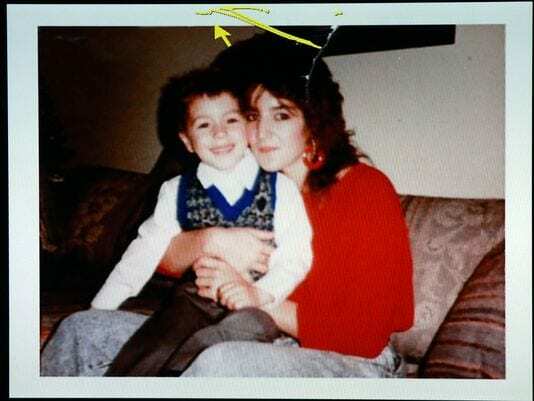 Danielle was the second babysitter to identify the blanket found with Timmy’s remains as the same one that she had seen numerous times inside his home. This piece of evidence was the smoking gun. If the blanket had come from inside Michelle’s home, then how did it get to the crime scene? 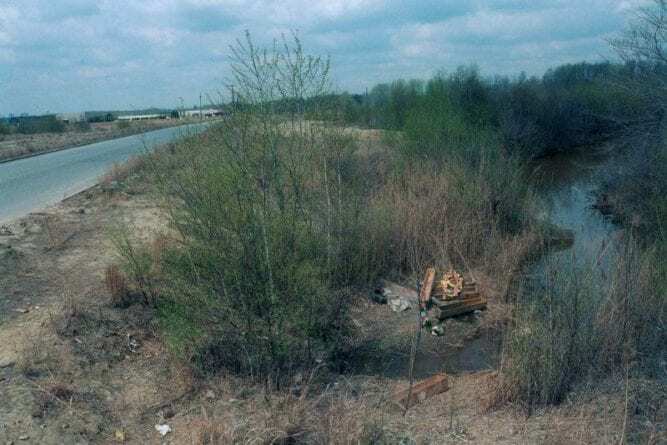 “She dumped his body in a creek like a piece of trash, but she left behind a telling clue: this blanket,” declared Deputy First Assistant Prosecutor Christie Bevacqua. “No other killer could get this,” she said. Another babysitter, Dawn Matthews, also identified the blanket as the same one she had seen whilst looking after Timmy when she was 15. This was now three separate witnesses who could identify the blanket found discarded with Timmy’s body. 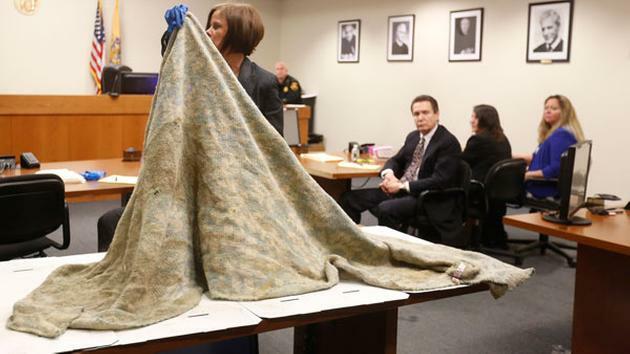 Danielle Gerding identifying the blanket that was found with Timmy’s remains. Michelle always claimed she was a loving mother to Timmy; this was questioned by Mary Ellen Quirk, the former school nurse at Timmy’s school. She was called to the witness stand where she recalled how Timmy was either late or absent for almost half of his first year at school. 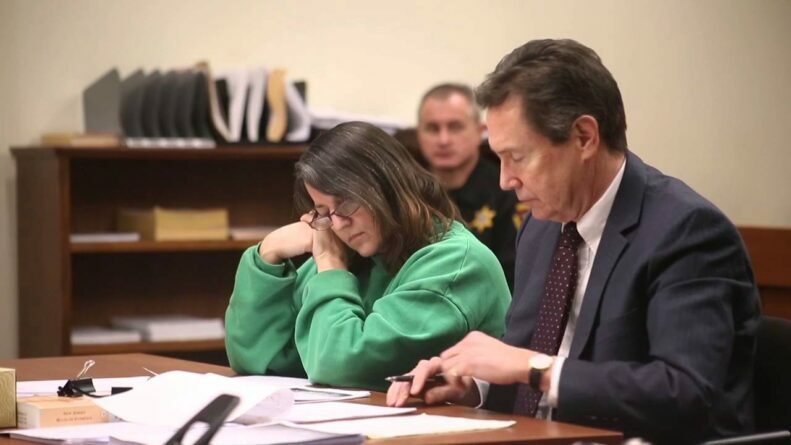 She told the court that when Michelle dropped Timmy off, she never hugged him or kissed him. She just sent him on his way. The court was next to hear testimony from Laura Mechkowski. Laura was at the carnival on the evening that Timmy disappeared. She told the jury that she had struck up a conversation with Michelle at a food stand, noting that Michelle was on her own. Laura even recollected what Michelle had been wearing that evening. There was no sign of Timmy nor did Michelle mention Timmy. Laura Mechkowski testifying during Michelle’s trial. One of the most pivotal moments of the trial was when the many interviews with Michelle were played in court. These tapes took the court room back to 25 years ago. In these tapes, the jury could hear just how many times Michelle changed her story as to what took place at the carnival. From claiming she had just turned her back on Timmy to claiming he was abducted by a woman named Ellen, these tapes were damning to Michelle’s case. In the taped interviews, her demeanour was ever-changing and she was often uncooperative, even storming out of the interview on several occasions. Her disposition certainly didn’t portray her as an innocent mother but instead, a mother with something to hide. It’s certainly not unheard of for parents to kill their children as they consider them a burden in one way or another. After several days of deliberation, the jury had reached a verdict: Guilty. As the verdict was announced, Michelle bowed her head and began to shake. She didn’t say a word. The verdict came 9,125 days after Michelle first reported Timmy missing. Declaring that Michelle will be “old and gray” when she is released, the judge sentenced her to 30 years in prison without parole. For decades, investigators, locals, and even some family members believed deep down that Michelle was involved in her son’s murder and at last, they finally had closure. Credit: Robert Stolarik for The New York Times. 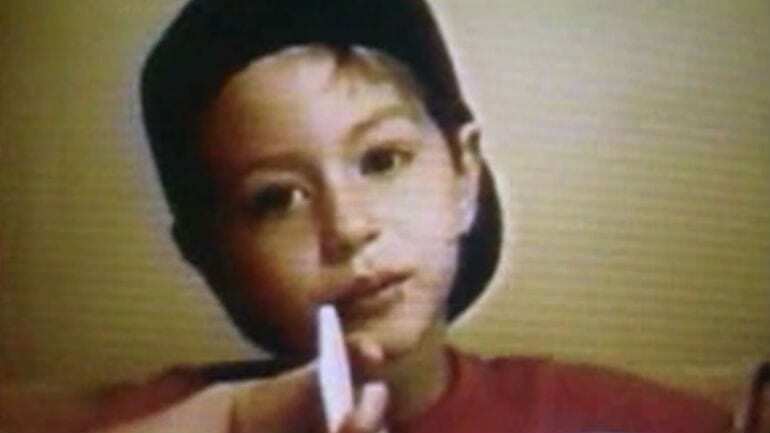 I’d never heard of this case until today; my heart breaks for that little boy. omg how could someone do that to their own little baby? so glad she was finally caught. First time hearing about this case. How crazy that she still had the balls to plead not guilty! Just admit & confess!